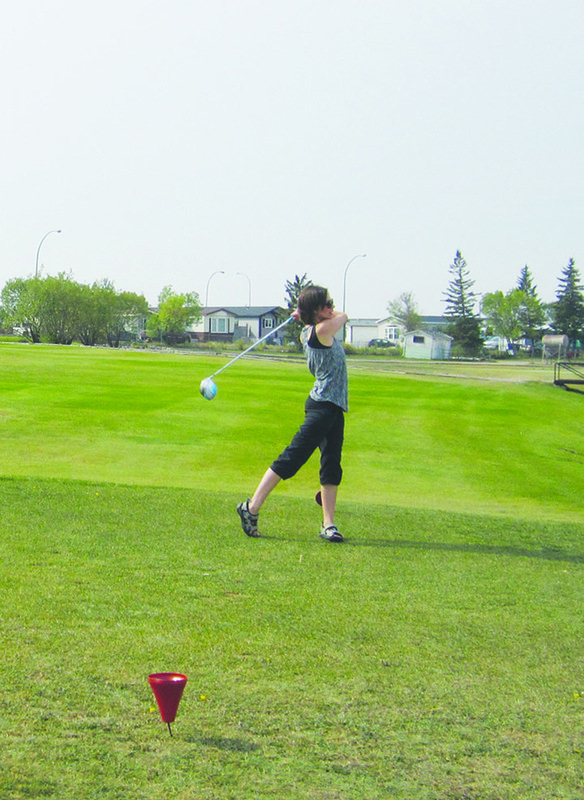 Celene Longmire tees off to start the Kindersley Ladies Golf Tournament that took place on Saturday, Sept. 8. They had the maximum amount allowed of 90 women. It was a full day of golf and fun. The two-woman teams played 18 holes of best ball. There was flight and proximity prizes, as well as other prizes.The tournament winners were as follows: 1st flight, 1st place: Tracy Clark and Mandy Whenham, 1st flight, 2nd place: Kennedy Kosolofski and Heather Morris. 2nd flight, 1st place: Jenny Larocque and Jen Peardon, 2nd flight, 2nd place: Donna Neumeier and Laurie Dales. 3rd flight, 1st place: Shawna Ervine and Yvonne Hannon, 3rd flight, 2nd place: Paula Haubrich and Natalie Down.